Hampton & Richmond Borough won the 119th Middlesex Senior Cup Final thanks to second half goals from James Simmonds and Dave Tarpey. The Beavers eventually lived up to the pre match tag as favourites, but only when they stopped the long ball game and started playing the attractive passing game we have come to know and love. 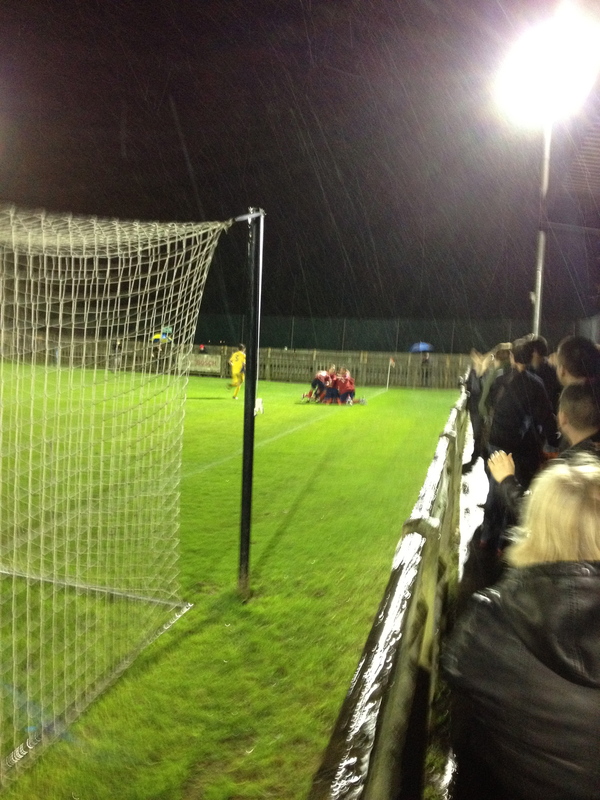 In miserable, rainy conditions, both sides spent the first ten minutes settling into the game, and there were no efforts on goal until James Simmonds dragged a shot wide from the edge of the area just after the ten minute mark. Wealdstone’s first effort came two minutes later, Tom Pett forcing a good save from Craig Ross. For the next twenty minutes, it was the Isthmian side that looked more likely to score, as they easily dealt with Borough’s long ball game. Scott McGubbin fired over from the angle of the penalty area, and top scorer Richard Jolly had his first sight of goal, but his shot was blocked away for a corner. The second half got underway, and the rain got heavier. Like the first half, it took ten minutes for a chance to be created. 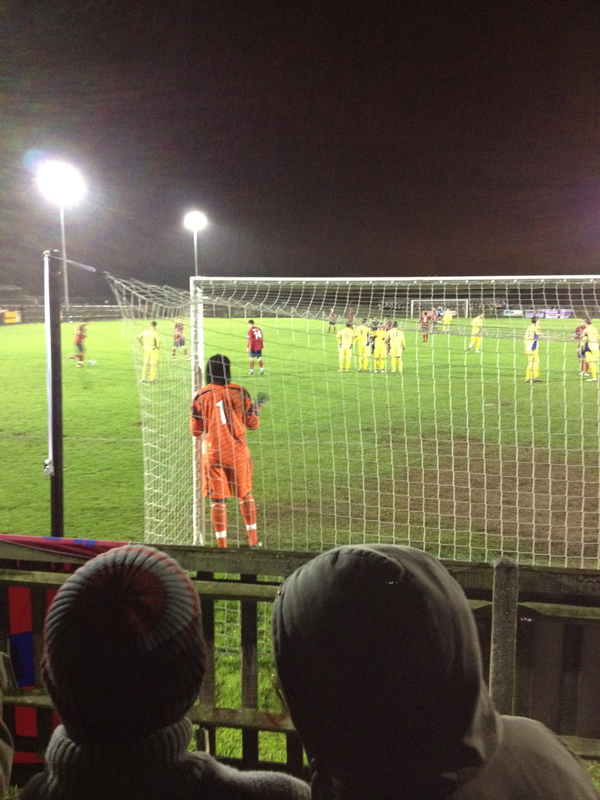 Pett drilled a low cross which caused havoc in the Hampton penalty area. The ball pinged around and there were at least two goalline clearances to keep the scoreline blank. 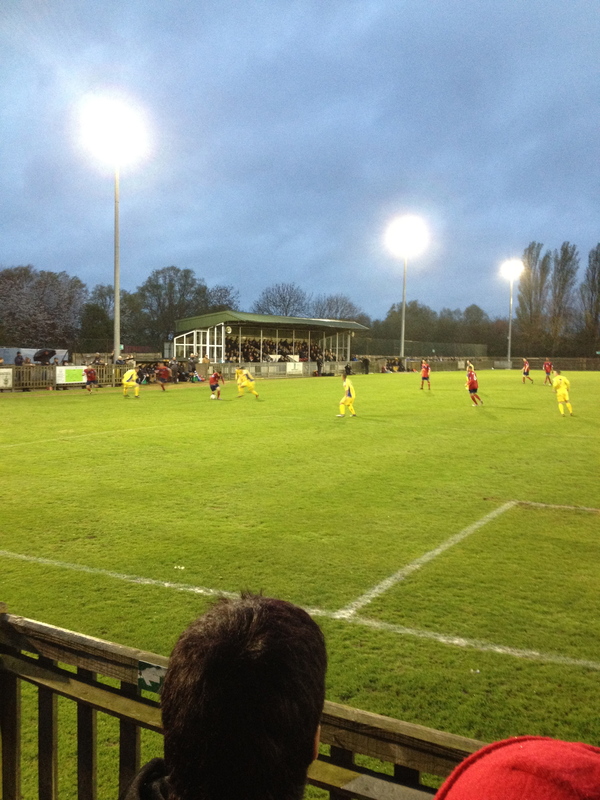 On 57 minutes, Hampton were gifted with possibly their best chance so far. Ashlee Jones slipped when taking a goal kick, and the ball landed at the feet of Nathan Collier. He ran down the right wing and found Simmonds. Good play between him, Andrews and Josh Huggins ended with a shot from Huggins that Jones saved to redeem himself. Collier was starting to impose himself on the right wing, constantly causing the Wealdstone left back Alan Massey problems. On the hour, Borough manager Mark Harper made his first substitution, bringing on young forward Joe Bennett to replace Esmond James. Four minutes later, and Hampton were denied what looked like a clear penalty. Josh Huggins sneaked the ball away from a defender, who stuck his foot out and brought the midfielder down. Somehow, though, referee Steve Woodison waved the appeals away. Two minutes later, and substitute Bennett hit a good shot from the edge of the penalty area, which Jones just about kept out. He could have easily been deceived in the difficult conditions. By this point, Hampton were dominating, and the chances kept coming. Tarpey had an effort blocked, and Andrews fired narrowly wide. 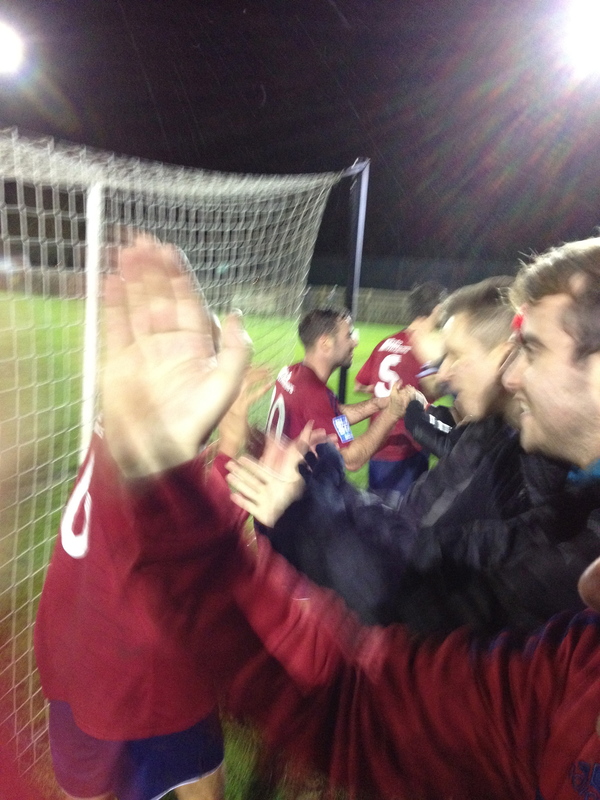 The opening goal did eventually come, however, when James Simmonds blasted in from eighteen yards with sixteen minutes left. The Beavers’ fans went absolutely nuts behind the goal, celebrating with the players, believing that the goal could be the winner. Not long after the goal, and Harper made his second change, taking off captain Lewis Ferrell and replacing him with Joe Turner. This change saw Collier drop back to right back, and Turner play on the right wing. Ferrell has been struggling with a hamstring niggle, so hopefully the change was only precautionary. With just eight minutes left, Dave Tarpey scored the second goal to put the game to bed, and Hampton’s name on the trophy. Simmonds knocked the ball over the Wealdstone defence, and Tarpey chased it down before controlling it on his chest and then hooking the ball superbly past Jones. It was a fine return to the team for Tarpey, as he has missed the previous three games through suspension. Tom Hickey came on to replace Andrews for the last five minutes, and there was time for one last shot from Tarpey in injury time, but he fired wide when he maybe should have pulled it back to the unmarked Bennett. I’m sure the Hampton fans forgive him though! The win saw Hampton lift the trophy for the third time, and the first time in four years. This should now act as a springboard for the team to build on in their bid to avoid the drop in the Conference South. Hampton: Ross, Ferrell(Turner 77), Johnson, Jeffries, Inman, Huggins, Collier, Andrews(Hickey 85), Tarpey, Simmonds, James(Bennett 60) Subs not used: Jenkins, Murray. 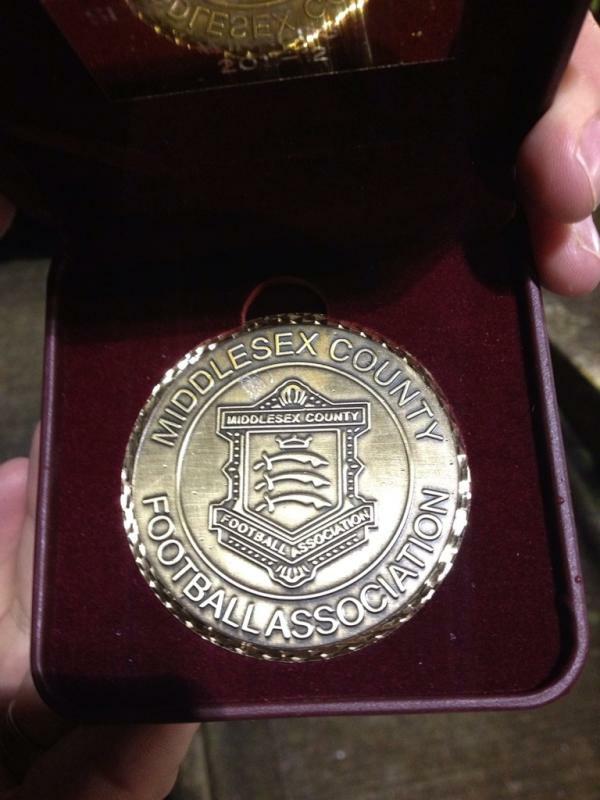 Man Of The Match: Given to Dave Tarpey at the ground, but for me it was James Simmonds. He was involved in everything Hampton did, and deservedly got the opening goal. 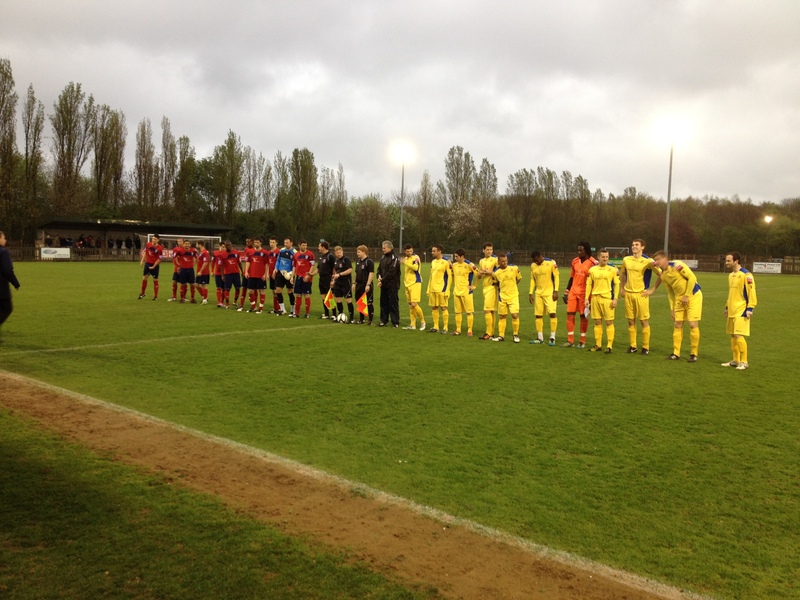 Posted on April 9, 2012, in UTL Archive and tagged Dave Tarpey, Hampton & Richmond Borough, James Simmonds, Mark Harper, Middlesex Senior Cup, Wealdstone FC. Bookmark the permalink. 4 Comments.